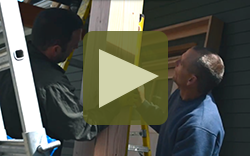 Click here and learn what it means to be a True Green custom builder. Capital Construction is an environmentally responsible green builder serving the northern Saratoga and southern Warren County area of upstate New York. We’re a builder of homes of lasting distinction with an approach that sets the company apart from the typical builder. The company’s simple philosophy is to build the right way from start to finish. This, of course, means building green. Our Louden Ridge development is certified by The American Lung Association as one of only five Health House communities in the United States and the only one in the Northeast. Custom built sustainable homes in Saratoga County. Environmentally conscious buildings, built solid and cost conscious.